Getting this badge last night was a real surprise! Dad and I were just looking for a Pale Ale in the fridge and came up with this. I've had it in the fridge pretty much since I got back from Europe. So surprised was I that I didn't even snap a picture on the camera, so the iPhone one will have to do. 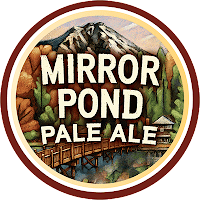 Mirror Pond Pale Ale is brewed by Deschutes Brewery in Bend, Oregon. It's the fifth largest craft brewery in American and 12th largest brewery full stop! With this sort of production it's seems odd that it's taken this long for their beers to get out to Australia. This is their best selling beer so I'm looking forward to trying it. The pour is quite good. The photo looks quite red/brown but in fact the beer was an orange colour. The head was also off-white with a slightly orange tinge to it. Speaking of the head, it's very short lived! There's almost no retention at all and subsequently no lacing. 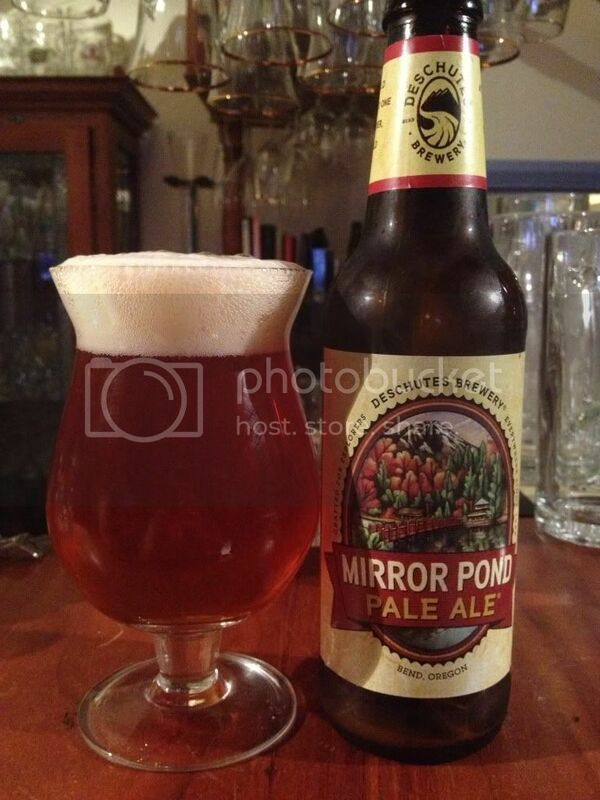 There are definitely better looking beers on the market for the style than Mirror Pond. My notes are not particularly detailed for the nose of this beer. In fact they just say "Too sweet! Sugary malts!!!!". I think that pretty much sums up what I thought of the nose. It was far too sweet and there was no balancing hop bitterness that I could detect. I'm not sure what I'm tasting but this beer seemed more like a cider to me. There was this really odd apple flavour, particularly at first. It did settle down a bit but for my liking there wasn't enough discernible hops and the general feel of the beer was too sweet. This beer just didn't do it for me. 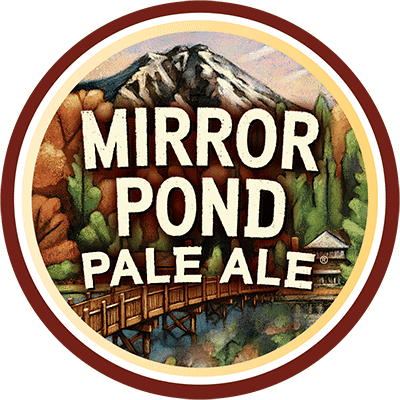 Further research indicated that to obtain this badge you need to check in to a Deschutes Mirror Pond Pale Ale with a photo. If you to want to get this badge you have to do it by September 20. I know alot of people rave about this beer, but if you want my opinion the only reason to drink it would be to get the badge. It's just not that good!